When I asked my polytechnic class how important Facebook is, the surprising (to some) answer was “Facebook is for old people!” The sudden realization of our wider than wide generation gap, and that many young people avoid certain social media precisely because their parents are on it. So what is next? Snapchat. For those unfamiliar, the mobile app allows users to send videos and pictures with captions or doodle to friends or to “My Story”. 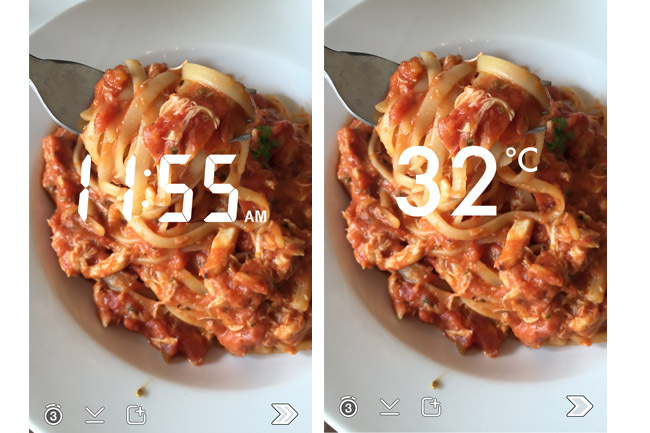 Can add time and temperature to your snaps. Tell them you are feeling hot. The catch? The snap HAS TO BE shot live, with duration of maximum 10 seconds, and will be deleted after 24 hours. Viewers CANNOT download the video or picture. You cannot exactly track the number of followers. However, you can track the number of times a snap has been viewed. What’s the point – you may ask. Before we go into that, Facebook has once offered $3 billion (that’s $3,000,000,000,000) to buy over Snapchat, but was turned down. Snapchat is now valued at more than $10 billion. Snapchat is now the third most popular social app among millennials, just behind Instagram and Facebook. 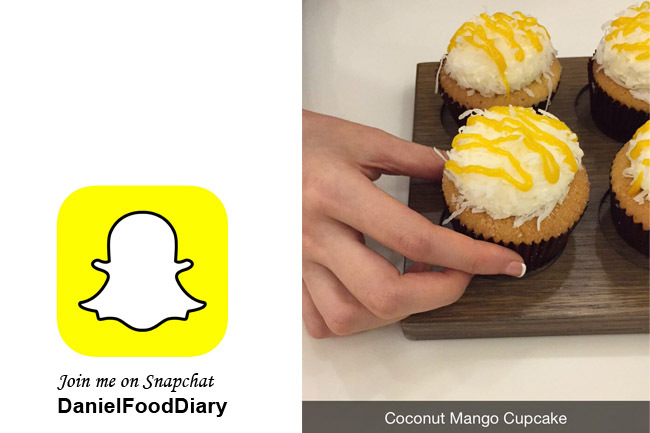 From a food bloggers perspective, here’s where I like Snapchatting and viewing “stories”. –	Instantaneous. Blogs need at least a few hours to be written, Instagram may not be that ‘insta’, and Snapchat can allow you to get some of the fastest news and information. –	Behind the scenes. 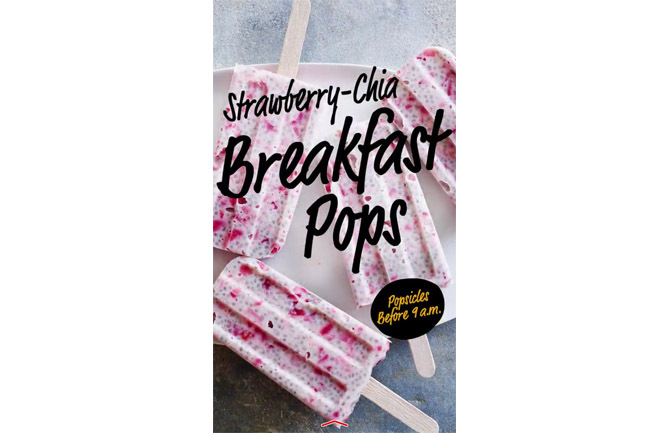 I use Snapchat to show readers what I do behind the scenes, what goes on in the preparation of food, and snippets of my life. –	The real deal. Photos on Instagram can be too polished and edited. 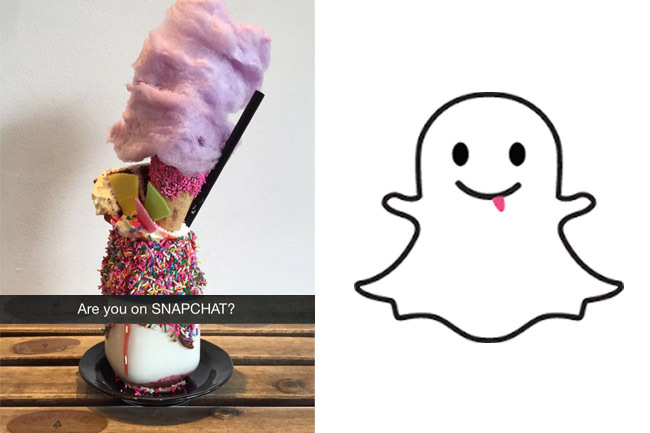 Therefore, the ‘realness’ of Snapchat can be a breath of fresh air. –	More authentic. 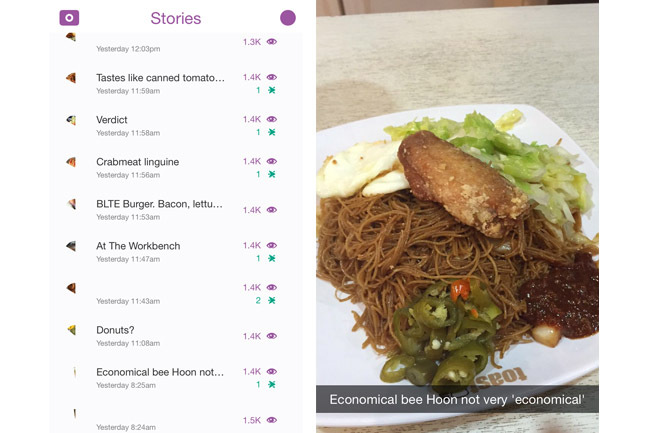 Here’s what I do on Snapchat: I eat a dish and provide feedback IMMEDIATELY on video “Argh! The lava cake doesn’t flow. SEE!” and followers tell me that is what they like because it is real. –	Immersive experience, as though as you are in the same place. –	Tell Stories. This is what I like. To string together 10 second videos of food to show the full experience in a different way. –	Faster. Yes, stranger fast. In the past, I may take videos of food in different possible angles (habit because this is what I learnt in school). Now I just do one 10 second snap and move on with actual eating. –	Try new things. I have been getting friends to appear (or at least their voices) to share about the feedback on the food after a meal. Other than a more personal touch, followers can hear what my friends have to say too. –	Real followers. This may disappoint many – you cannot buy followers. In fact, people who want to follow you have to consciously key in your username, spread via word-of-mouth. So before you quickly dismiss Snapchat, know that big brand names such as Samsung and McDonald’s have already used Snapchat as a form of advertising, and politicians such as Hillary Clinton are also on it.